Every Friday I will be hosting the Scrapbook Saddle Up with y'all!! It will feature a scrapbook layout to a scrapbooking album ideas along with tips, techniques and etc!! Today's share is a page I created to play along with a color challenge for my Fall Fest On-line Class. The class officially over but you can still purchase the class and get 14 fabulous and cute projects with step by step photos in a downloadble PDF along with Video Tutorials! Lots of Fall and Halloween ideas for you!! My base is Cherry Cobbler card stock. I took the stamps from ABC-123 Sketch Alphabet & Numbers Stamp Set; inked them in Cherry Cobbler and stamped onto the Cheer Cobbler card stock. I cut a piece of Pool Party Coredinations card stock. I LOVE this stuff!!! 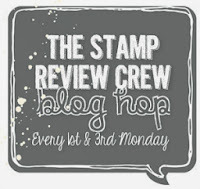 I ran it through the Big Shot with the Alphabet Press Embossing Folder then sanded with our Stampin' Sanding System to distress it. How cool does it look!!! Tip~ For a fun distressed look use the Coredinations card stock. I cut a piece of Whisper White card stock for the photo mat. Using the Paper-Piercing Tool, Stampin' Pierce Mat and Essentials Paper Piercing Pack I added piercing down the right side of the Whisper White card stock. I cut a piece of I am Me Designer Series Paper (which is perfect for school theme) I created a notebook edge look to it. I cut another piece of I am Me Designer Series Paper. I cut a piece of 1/4 Stitched Wild Wasabi Grosgrain Ribbon and wrapped around the center of the I am Me Designer Series Paper. Using the Big Shot and Labels Collection Framelits I die cut out a piece of Basic Gray card stock. Using the Paper-Piercing Tool, Stampin' Pierce Mat and Festive Paper-Piercing Pack I added piercing around the Basic Gray label. Using the Big Shot and the Bitty Banners Framelits I die cut out a piece of I am Me Designer Series Paper. I cut the banner in half then layered them onto the Basic Gray label. Tip~ To get perfectly cut banners use the Big Shot and Itty Bitty Framelits. I attached the Basic Gray Label to the page with Stampin' Dimensionals. Tip~ To create the title I took the stamps from ABC-123 Sketch Alphabet & Numbers Stamp Set; inked them in Cherry Cobbler and stamped onto the center of the Whisper White die cut. I used the Basic Black Stampin' Write Marker and wrote The and Grade below the 1st. I glued the Whisper White label to the Basic Gray label. I then used the Bird Builder Punch to punch out a piece of Wild Wasabi card stock. I cut the leaves to look like an apple top and attached them to a Regals Designer Button with a Glue Dot and boom I had an apple!!! I attached my apple to the labels. I then added some Rhinestone Basic Jewels to finish off the page. The perfect page for recording those 1st grade memories!!! Technorati Tags: 1/4 Wild Wasabi Stitched Grosgrain Ribbon, 1st grade, 6 x 6 Page, ABC-123 Sketch Alphabet & Numbers Clear Stamp Set, Alphabet Press Embossing Folder, Big Shot, Bird Builder Punch, Blog, Demonstrator, Holly Krautkremer, Itty Bitty Banner Framelits, Labels Collection Framelits, paper crafts, Regals Designer Buttons, Rhinestone Basic Jewels, Rubber Redneck, rubber stamping, School, Scrapbook Saddle Up Friday, scrapbooking, Stampin' Up!